The gallery was started with a mission and vision to foster an understanding of art work. It seeks not just to curate and bring out the best of art forms but also to educate its visitors. To live up to its mission the gallery organizes shows which reaches out to the general public and gives them an opportunity to learn to understand and appreciate art and even enhance their living spaces with a piece of affordable art from Gallery Veda. With this in mind, several shows are planned through the year that will not only push boundaries of perception but also question the normal. “To make art more inclusive and not intimidating was the idea behind the galllery. 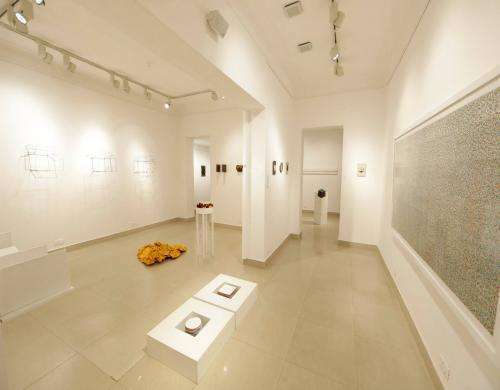 Chennai, with its well-known love for the arts, provides the perfect setting for such a concept.The need for a distinctive space amid the homogeneity is what urged me to start the gallery,” Preeti Garg founder of the gallery. The works of art reveal the past, celebrate the present and probe the future.